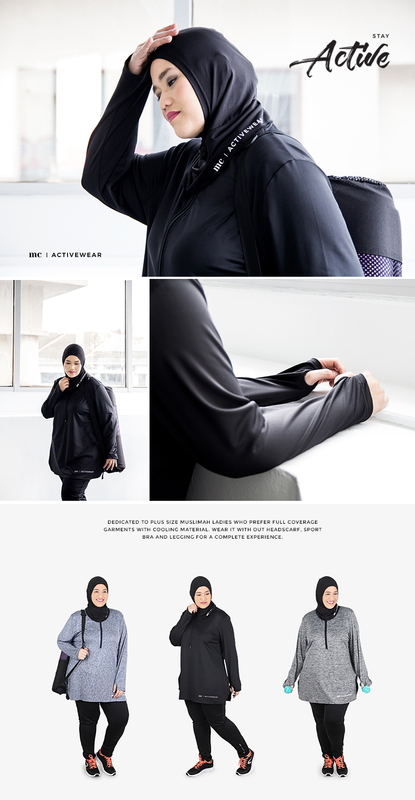 This Active Wear piece is especially designed for active Muslimahs for the confidence while doing outdoor activities. It has the compatibility feature to secure its matching pants (Falcon) to the top. Inner cap not included. 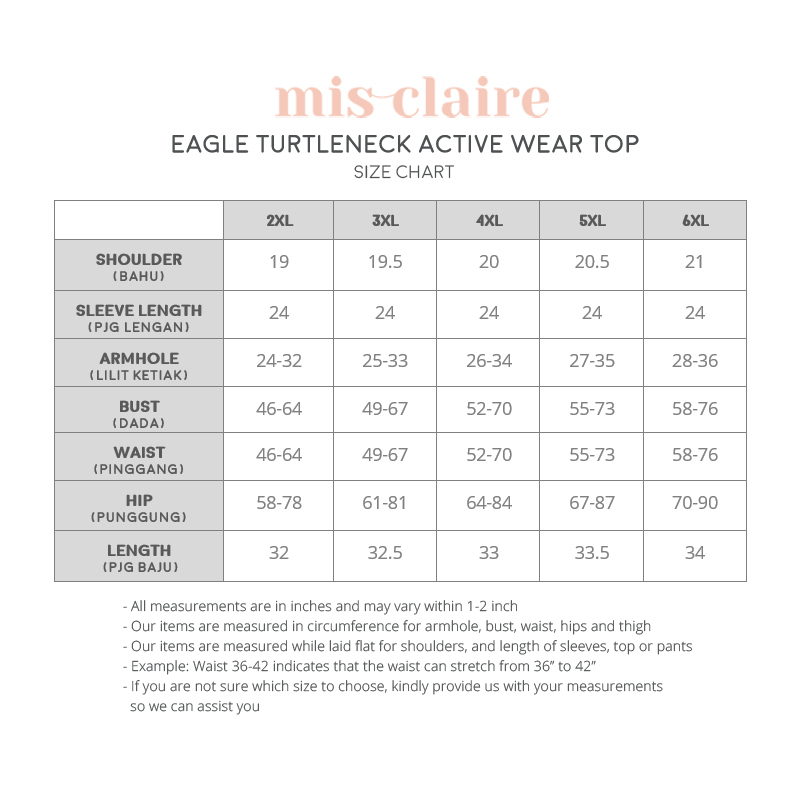 Buy 1 EAGLE TOP + 1 FALCON PANTS at RM128. You boleh subscribe newsletter kami di website kami WWW.MISCLAIRE.COM untuk mendapatkan updated on launching kami. Bust 48 waist 39.. 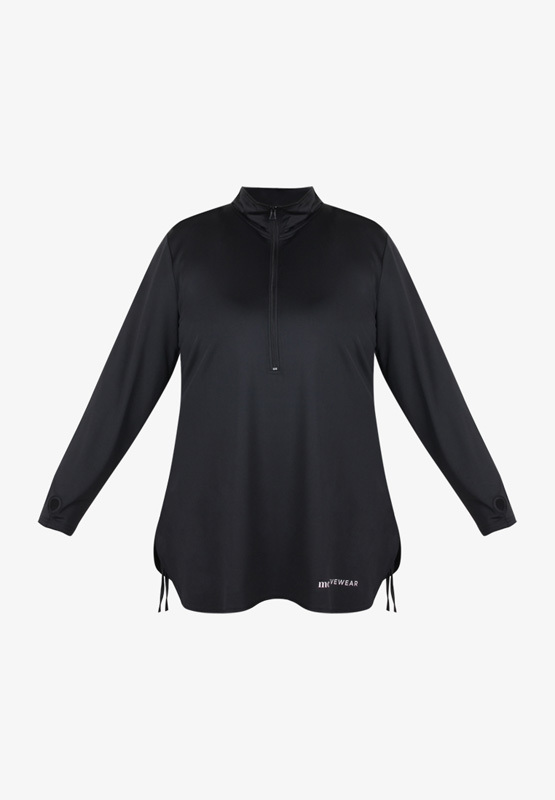 Size apa yg fit dgn i? my hips 54inch please advice what size should i buy? So comfy and practical.. Very recommended..
Sangat selesa, rasa sejuk je bila pakai. 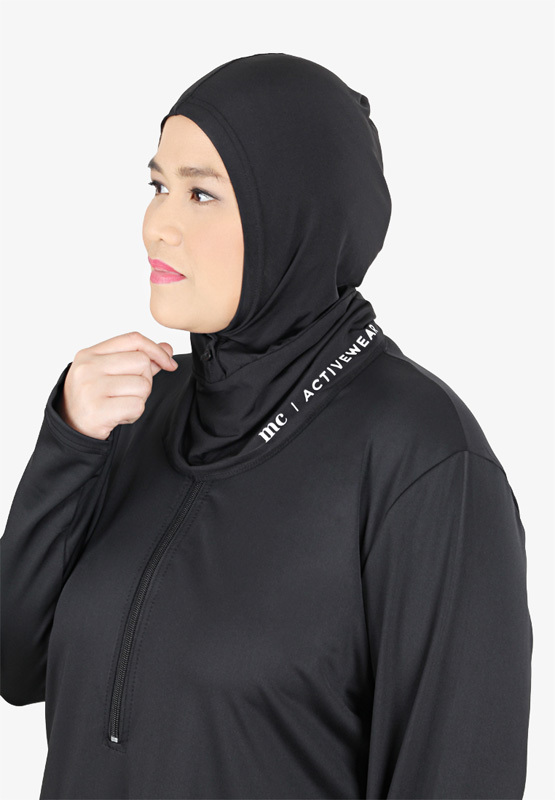 I loved the material .. berbaloi dengan harga ..